What is DGS Live Baccarat? 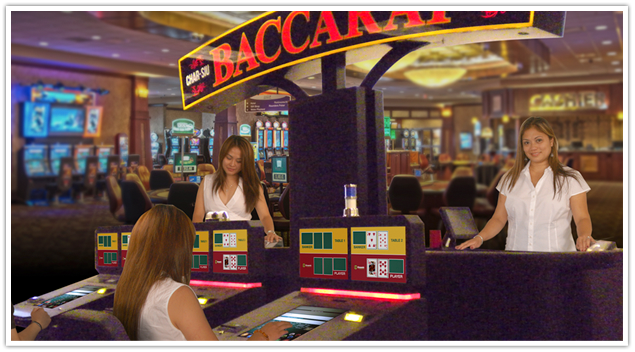 Baccarat is a patent pending technology in table game play offered by DGS. It is a baccarat gaming system in a player terminal. 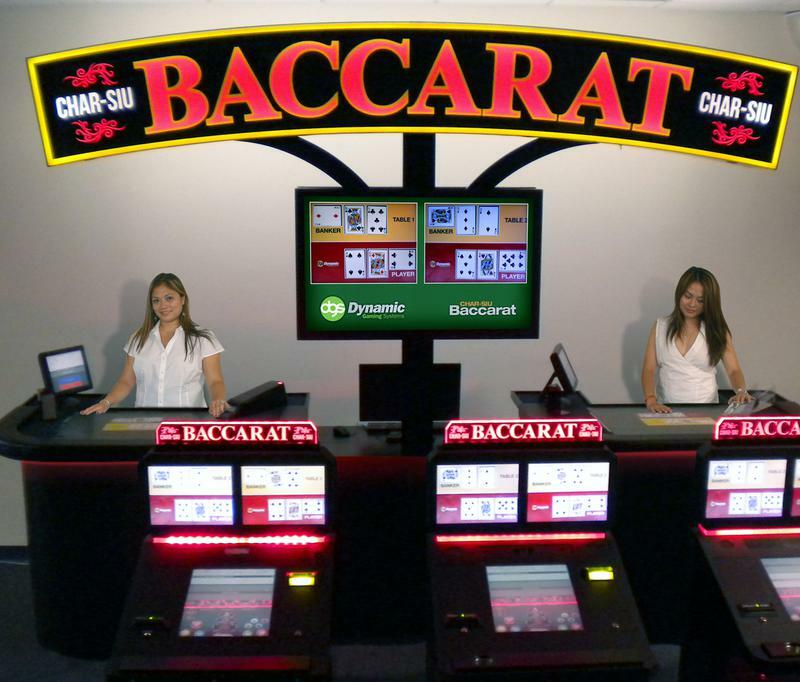 A live Baccarat game is broadcast to the screen as the player plays the game. There are two screens so a player may play more than one table at a time. Dynamic Gaming Systems Baccarat provides a way for multiple players to interact and play baccarat with a live dealer, and automatically keeps track of customer play on the display screen. A built-in touch screen keeps track of play, providing a vastly improved rating process, similar to a slot machine. 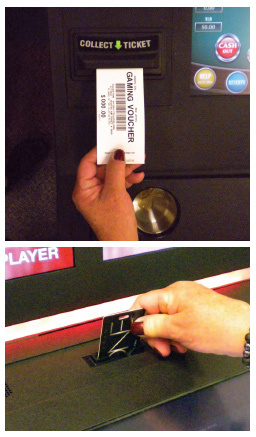 • Player sits at the player terminal and inserts cash or tickets. • Player terminal shows live dealer at baccarat table. • Touch screen enables player to select one or two tables to play. • Player places his/her bet. • Dealer closes bets, then deals cards. and recorded for table rating program. With the Asian gaming market continuing to increase, DGS Baccarat is a cost-effective solution to accommodate more baccarat players. DGS Baccarat eliminates wait time and allows players to play multiple games in less time. 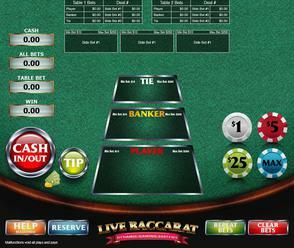 Multiple players can play simultaneously at one table with Live Baccarat. During a shuffle players can transition from one game to another, eliminating downtime. Because players are able to play two tables simultaneously, revenue per machine can increase. also eliminated, resulting in a faster game. 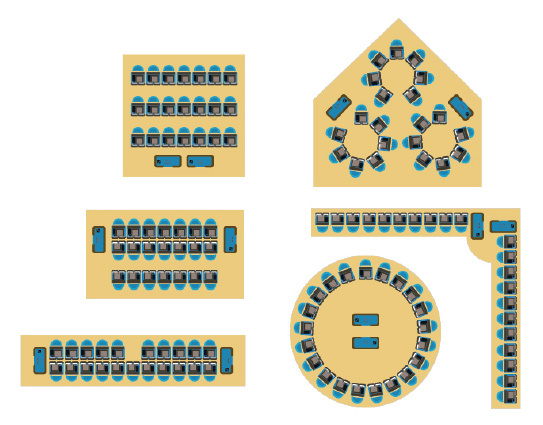 including customized areas with rotating messages.